“13 bands carrying the torch of Rock ’n’ Roll,” 68-75 (SIXTY-EIGHT/SEVENTY-FIVE) has just joined JCPL’s touring roster and completed its rst UK tour, playing full houses from Newcastle to London! Honored to join the JCPL’s stellar roster of talent (including Ian Hunter/Mott The Hoople, Bad Company’s Mick Ralphs, Jason and Scorchers and Georgia Satellites’ Dan Baird & Homemade Sin) 68-75 is anxious to hit the road in 2016! 68-75 is currently in pre-production to record their follow up CD to the band’s well received 2014 full length release, Stay on the Ride! 68-75 offers straight ahead rock laced with soulful, emotionally raw vocals. 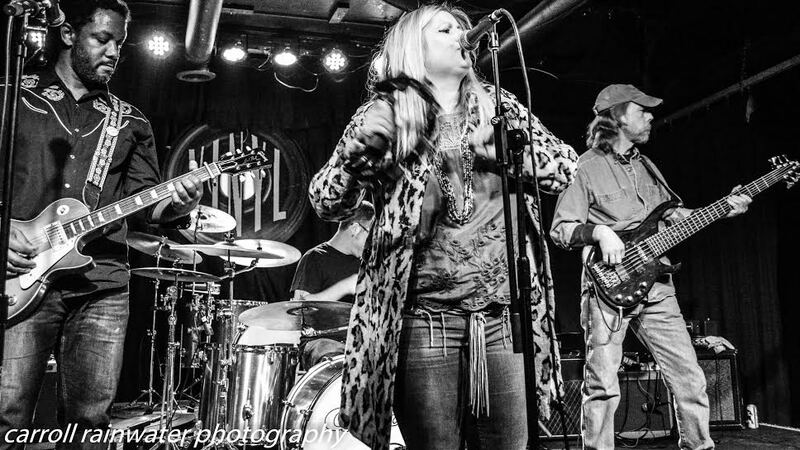 The sound of this Atlanta, GA-based quartet is rooted in ’70s rock — in uenced by the music of Free, Terry Reid, Humble Pie, Faces and Stone The Crows. and Roll Hall of Famer Ian McLagan of the Small Faces and Faces, Joe Bonamassa, Blackberry Smoke, Marc Ford, Jackie Greene, The Steepwater Band, Sister Sparrow and The Dirty Birds, SIMO, Ike Stubble eld, Chris Duarte and Trampled Under Foot, to name a few. Core band members: singer Suzanne Sledge and guitarist Andrew Cylar are joined by some of the best musicians on either side of the pond, including UK drummer John Powney and Georgia’s own Hal ‘Wolf’ Mahan, bass.